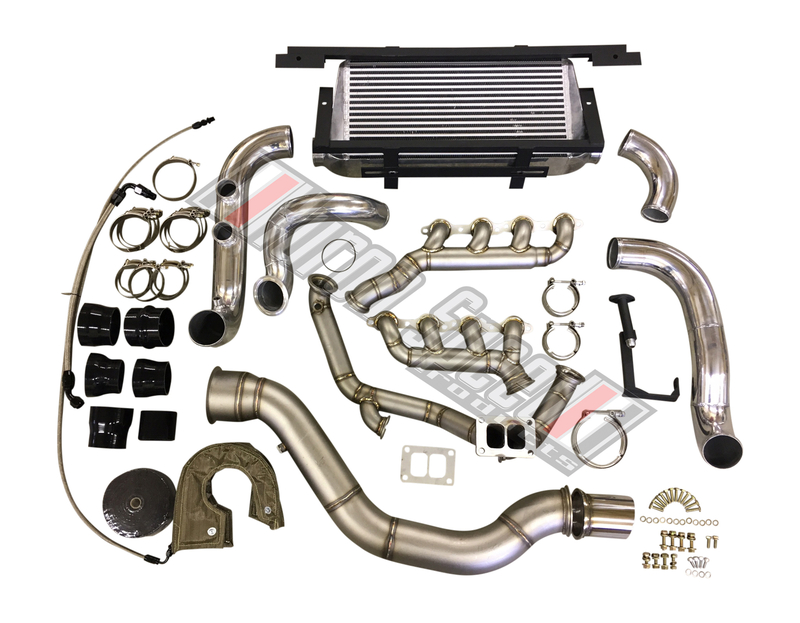 -8 feed, -6 return, aftermarket regulator, billet rails, all fittings, filter. *This item is the final payment from our Group Purchase sale and only for those that entered the sale with a deposit. If you purchase this without previously entering the sale, your order will be refunded. For everyone in the sale, this is your link to complete your purchase. 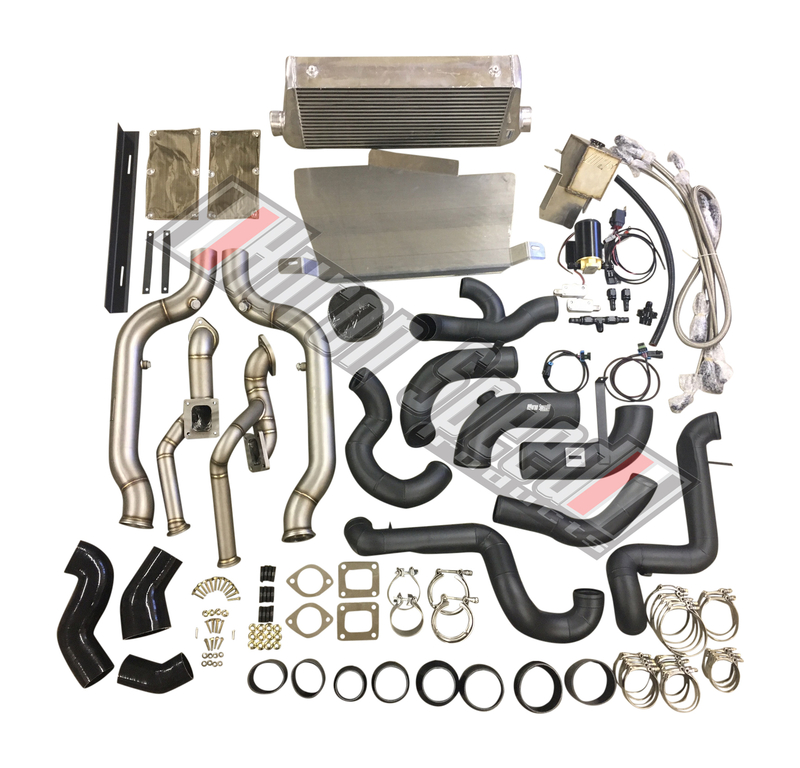 If you are going to receive a Free Power Steering Line Kit or 50mm BOV, do NOT purchase one, simply select none, we have this noted. 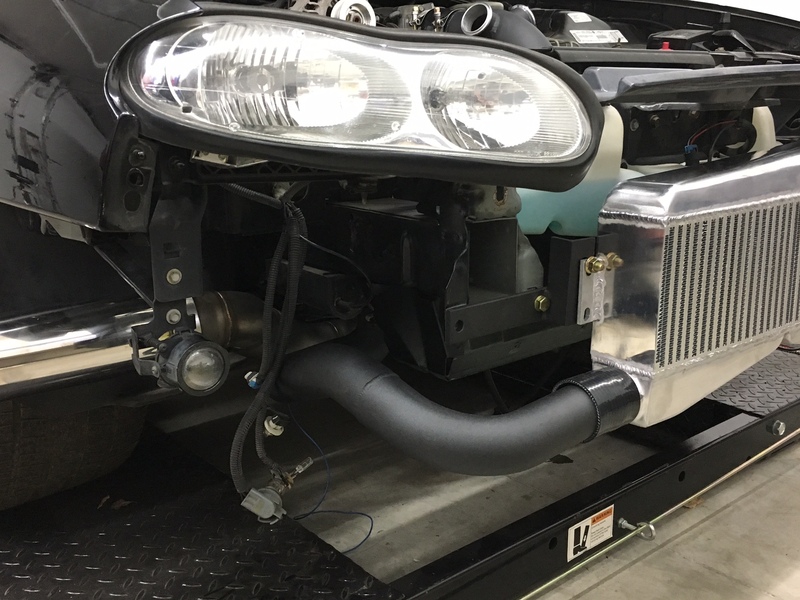 The V3 Twin kits will ship out to you in the order in which final payments are received, due to the magnitude of kits sold in this sale we expect these to ship in 2-3 weeks. To put this large sale on for everyone and provide huge savings and extras, all we ask for in return is some patience. THANK YOU! Also note: Any additional items may be shipped with the kit or drop-shipped direct. 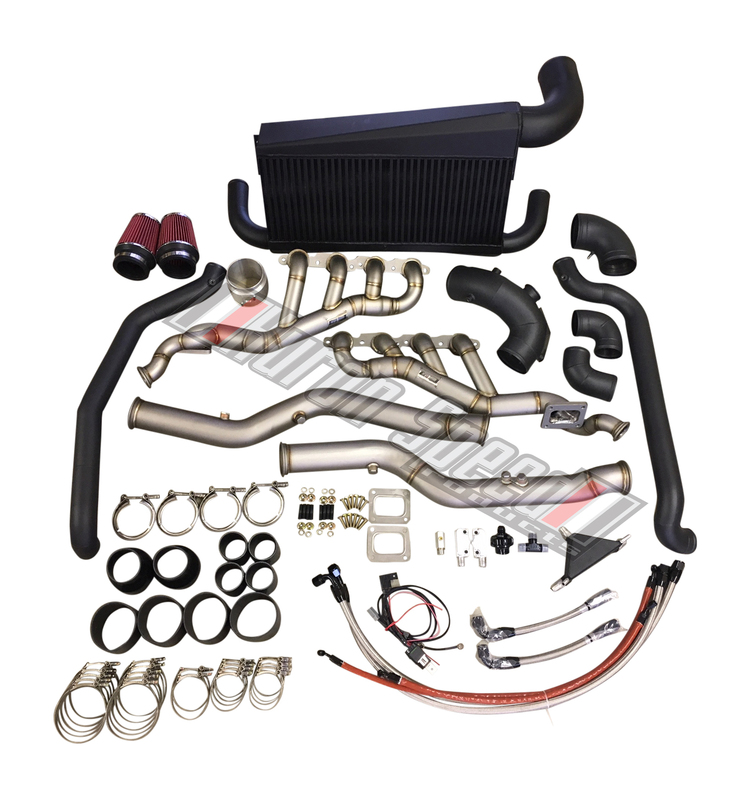 We will do whatever is the quickest option to get you the parts as we understand the timeframe needs. Adding coating to your kit will add 10-14 days for the coating to be completed and cured before shipping. 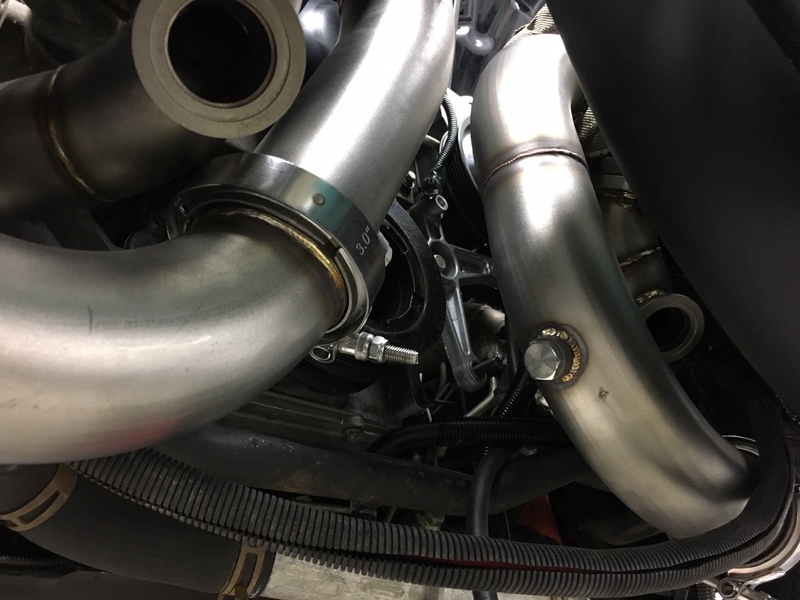 * 2.5” extra thick .120 wall Stainless Up-Pipes, V-banded allow for easier installation with 44-46mm V-banded Wastegate ports and primary O2 sensor bungs. 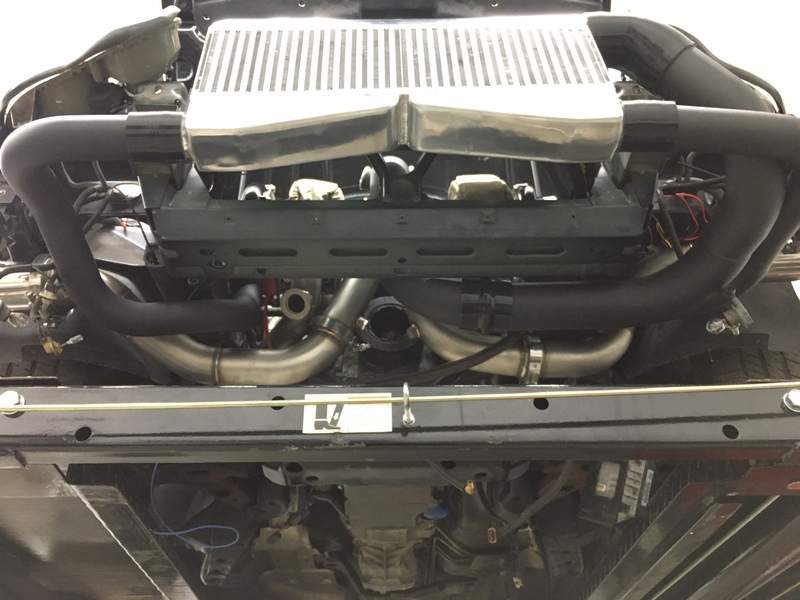 All piping stays ABOVE the oem sway bar! 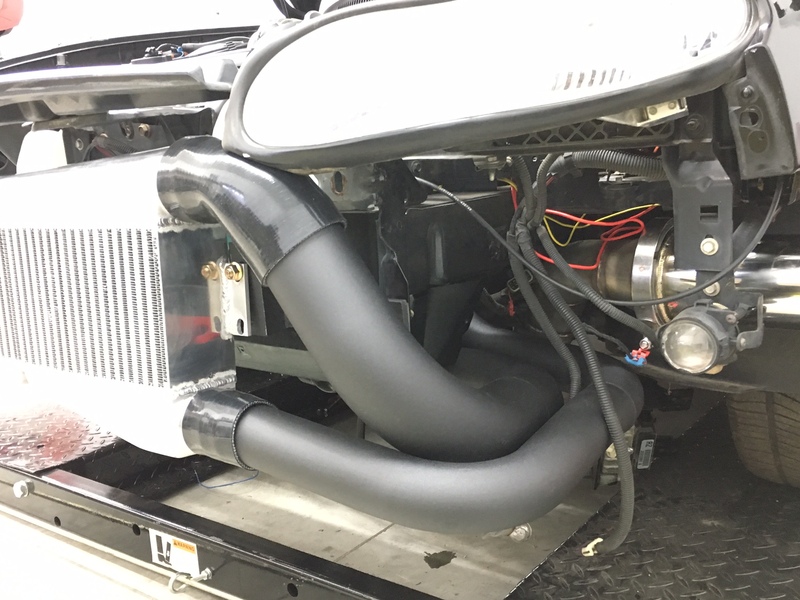 * Pair of full 3″ Stainless 2-piece downpipes routed through a Turbo Style K-member will supply the exhaust flow needed for 1500hp. Wastegates do not recirculate, they dump. Now with Wideband O2 bungs available in BOTH downpipes for tuning w/ plugs. 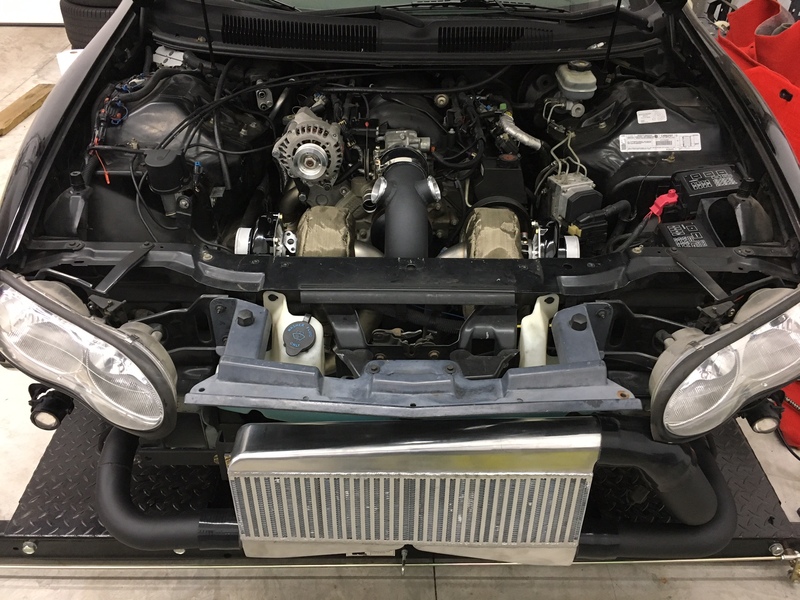 * OPTIONAL 3″ dual front bumper exit downpipes w/ 4″ exiting tips! *Requires overflow relocation. 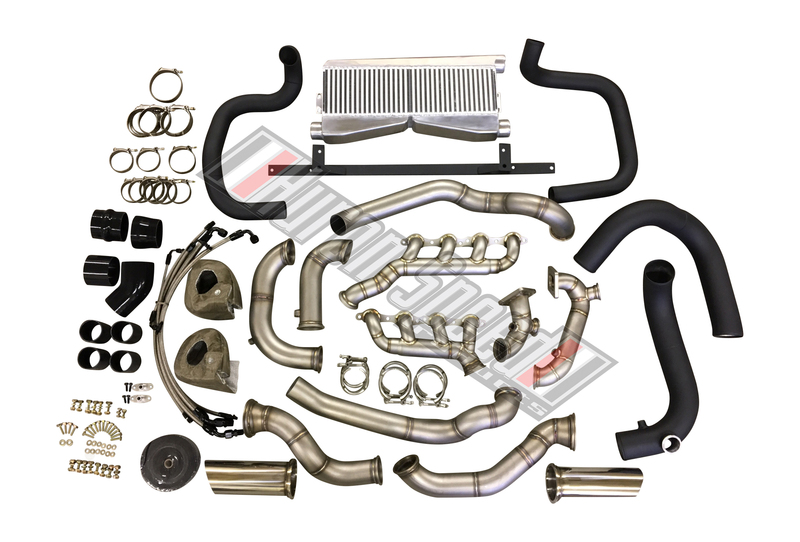 Optional downpipes allow you to run this kit with factory K-member! 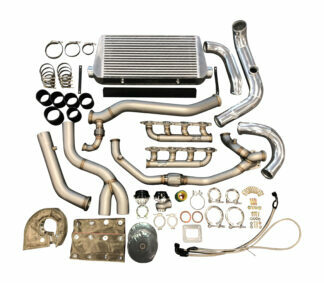 * Standard 3.5″ Thick Core intercooler with direct bolt on bracket, dual inlets and single outlet. 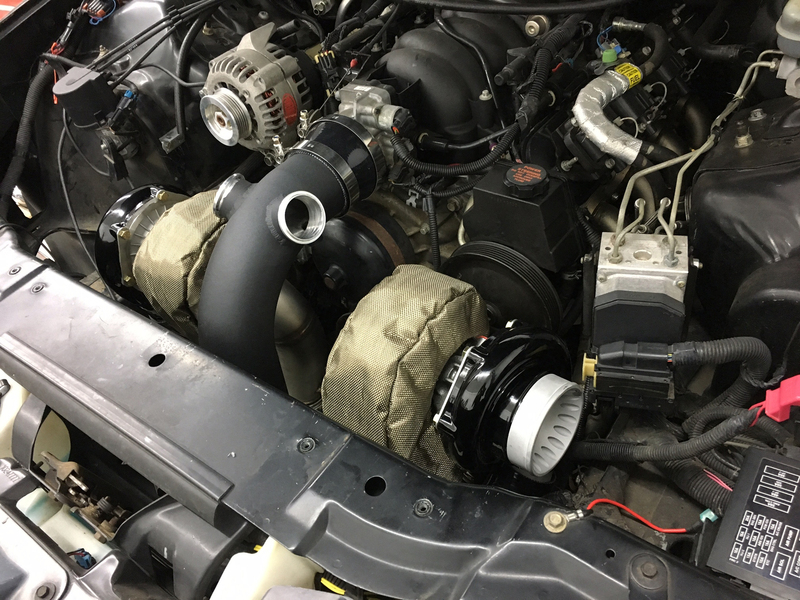 *Kit built around a pair of standard T4 Turbochargers with 3″ V-band discharges such as: Turbonetics Hurricane Series (TC66-TC78), Turbonetics T-series (7575, 7875), Precision T4 w/ S trim or H trim covers (6262s through 7675s) Comp CT4s or CT43’s with T4 housings (6062s through 8079s) and many many more. 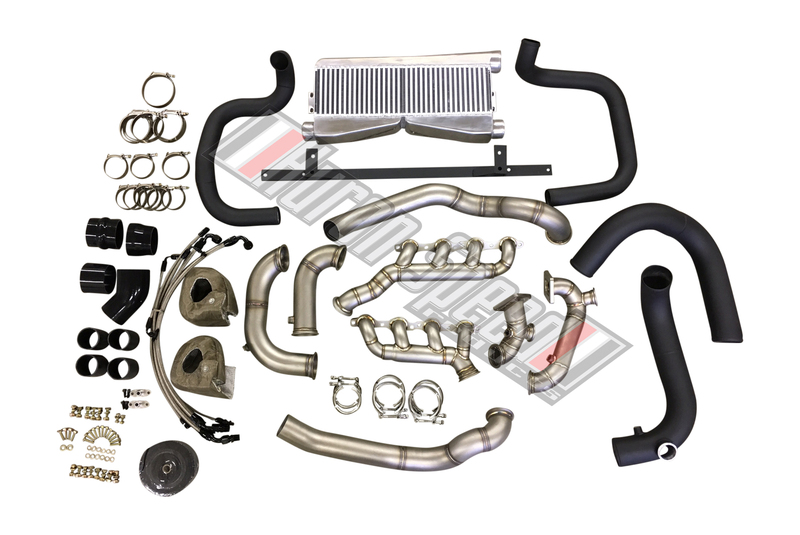 *Kit RETAINS: OEM Alternator location, OEM Front Sway bar, OEM Power steering, OEM ABS.